Protecting the web apps comes as one of the crucial challenges for Most organizations. With Modern Web Development, there also comes a variety of challenges for developers such as accessibility, unique feature, security concerns, and responsive designs. These are the vital concerns that need to be taken extra care. As we know, Data is a Massive asset targeted by the hackers to seek information and that's not mere username or passwords or credit card numbers. Thus, it's important to protect the vulnerabilities present in the app. Establishing a security checkpoint can help users to build user's trust. Web applications are client-server apps, that executes operations on clients (front end) as well as servers (back end). The servers reside on your corporate network, leading transactions and sustaining high-value information such as usernames, passwords and usage data accumulated by the application, they are enticing targets for attackers. To protect your business, data, and customers, apparently you need to implement traditional application security tools for your server. A common solution- web application firewall (WAF) ensures to stop network-based attacks. However, WAF claims to be at the application level but only alarm the user what’s coming on the network – it cannot recognize what’s occurring on, or through, the browser (client side). As we know, the network security alone is insufficient, let's understand why? What If an attacker analyzes the browser to see how client apps function, the WAF comes as a solution. Furthermore, the attacker can use this information concerning the app's behavior to more efficient outsmart the WAF in a client-based network attack. Undoubtedly, the security precautions ensure to maintain and safeguard client-side web application, offering additional server protection layers. This benefits to check and reduce breach and subsequent brand damage, financial loss and theft of intellectual properties. As we understand, it is necessary to protect the entire application ecosystem, when initiating any web project. Unfortunately, the web app frontend is ignored by most of the organization, prioritizing the backend with complete security. If you are leaving an area from being secured, your app security is at risk. Thus, you need to take a comprehensive server and web app approach towards application security. Checklists to ensure your application is secure! The valid way to dodge this vulnerability is to modify the type of file that is to be uploaded. Whitelisting filters, limits on file-size, and validating file content are also efficient plans. To protect the app: Authorize the user data, and leave on the server-side. In order to protect app: Use stern input validation, based on the content that the input is suspected to restrain. OWASP has a terrific cheat sheet for checking numerous types of XSS. You can manage their XSS Code Review to verify the security of your code. To secure your web apps - it is suggested not to trust web-clients, and should always validate input received from them. Hidden inputs should avoid containing sensitive information and validation to be done like any other input, even if the server is generating the information stored in this hidden input. Further, avoid using GET requests for sensitive info. Instead, what you can do is - store a session-id and send that to the client, in spite of genuine data value. With this process- The best way to thwart SQL injection attacks is to practice prepared statements with fickle binding. This authorizes the database to identify between data and code, irrespective of the input proffered. Whitelisting is also a good defense, as it defines what the input is like and ignores input that doesn’t suit the detailed pattern. 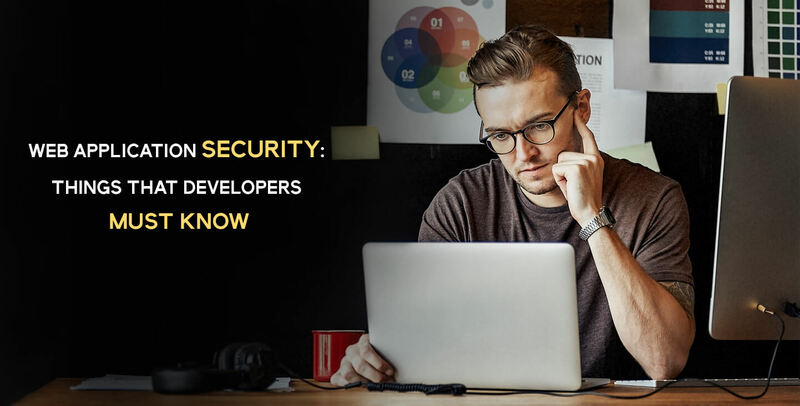 When your Web Application Development Company is the top of web security trends, it significantly increases your chance of developing a trust with the clients. At Root Info Solutions - we ensure that the application we have built- takes precautions to keep your app’s data secure.